Studio 1 has a Harlequin Harmony 'Tap' surface covering a 'Junckers' hard wood dance floor. Studio 2 has 3m high ceilings and 150sqm of Maple sprung floor. It's fully air conditioned with professionally designed lighting levels and excellent acoustic separation from other rooms. Visitors and parents can watch the classes on the wall mounted monitors. A variety of coffees and tea are available from our machine in the lounge. The Stephanie Prior School of Dancing is certainly one of the longest established dance schools in Hertfordshire. The current principal and owner of the business, Tara Prior, has been teaching all forms of dance for many years and is a Licentiate member of the N.A.T.D. (National Association of Teachers of Dancing). The School was founded in 1965 by the late Stephanie Prior. In 2004 Tara decided she wanted to continue the business her mum had started and gave up her day job to manage the school. She had one studio at the outset but the school grew fast and in 2011 she bought another building refurbished it and gained a further 2 studios. It has since grown into a very successful, family orientated business. Tara provides first class teaching and opportunities in dance for everyone from the age of 18 months (her 'Mini Movers') upwards. She and her team teach a combination of skills which allows their students to experience technique with creativity, and produce work of a very high standard. She believes the key to the success of the school is giving her students what they want but she makes it fun and enjoyable as well. Tara is not only passionate about dance but also about offering a sense of class and style with her own classic touch, which is why her clients are greeted in the reception area by a beautifully decorated room with a modern feel. 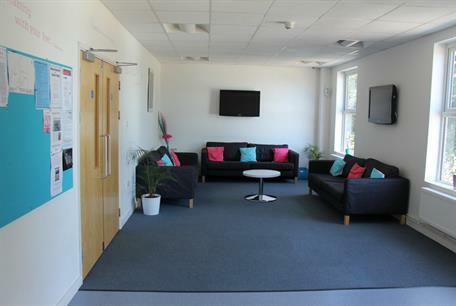 Everything was taken into account when the new building and studios were designed, from fully ducted air conditioned studios with mirrors and barres, to the warm and welcoming reception area. Attending a class for the first time can be quite daunting and some will be quite nervous when it comes to stepping into one of the studios. Tara wants her students to relax and wants to offer more than just a place to learn to dance; that's why the facilities include a lounge area where you can sit back, relax and enjoy a quiet drink before taking your first steps on the dance floor. If you are not dancing, you can relax in the lounge and watch what is happening in the studios on the video monitors. If you need to work and stay in touch or just want to browse, then high speed wireless internet is available free of charge. Tara hopes these studios are not just another dance centre to her students but rather an unforgettable experience. She strives to provide the best in dance instruction and her students learn in beautiful modern studios that offer a safe and comfortable environment which is ideal for personal development. Her team of highly trained professional instructors is comprised of exceptional individuals who work together, always putting the individual student first. Tara has also provided unique dance experiences for her students at a variety of events and venues around the UK and Europe. She has taken them to Disneyland Paris and several London West End Theatres and recently to the stadia of Wembley and Twickenham Rugby Football Union. Her aim is to cater for her clients' needs with a commitment to provide them with the best and most enjoyable experience. She hopes you enjoy it.